Inspired by the love for space and adventure. And the fact that WD-40 is less than a mile away. 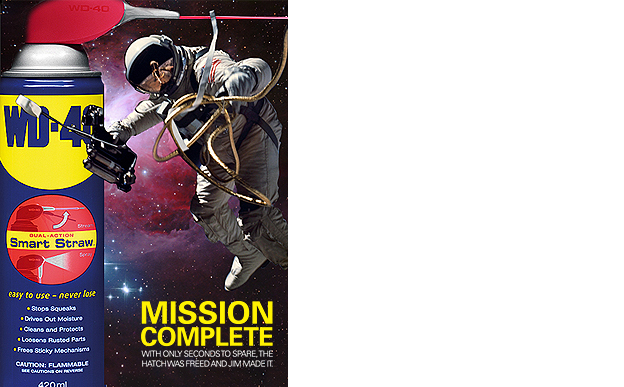 For now the copy reads, "With only seconds to spare, the hatch was freed and jim made it."